Jim Bohannon, host of the nationally syndicated “The Jim Bohannon Show” and “America in the Morning” radio programs, will be the guest speaker at the annual Celebrating a Free Press and Open Government Banquet, in Des Moines on Oct. 2, 2014. The banquet, hosted by The Iowa Center for Public Affairs Journalism-IowaWatch with the Iowa Freedom of Information Council and Iowa Newspaper Foundation, will cap a day of bringing attention to the need of an unrestricted news media and open government in our democracy. The Iowa Freedom of Information Council will present its annual Harrison “Skip” Weber Friend of the First Amendment award at the banquet. IowaWatch will present its Stephen Berry and Bill Monroe Free Press Champion awards to a working journalist or journalism educator and an Iowan who is not involved with journalism who promotes the role of an unrestricted news media and open government. Bohannon is one of America’s top radio personalities. Voted one of The 100 Most Important Radio Talk Show Hosts in America by TALKERS Magazine, his show is heard from 9 p.m. to midnight Mondays through Fridays on more than 300 radio stations, including stations in Iowa. He brings listeners a unique blend of breaking news, interesting features and informative reports on a spectrum of topics. Bohannon, who has more than 50 years of broadcasting experience, also talks to special guests and callers. 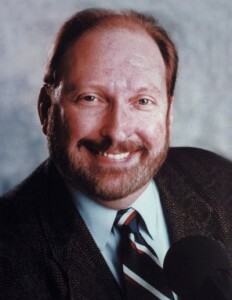 Bohannon was the principal back-up for Larry King on the Larry King Show until taking over the prestigious nighttime talk show slot in February 1993. He joined WestwoodOne in 1983 and has anchored newscasts, political conventions and election night coverage in addition to his weekday programs. He is a recipient of a Special Recognition First Amendment Award from the Radio Television Digital News Association and was named by the TALKERS magazine editorial board as the 2013 recipient of the publication’s prestigious Lifetime Achievement Award. Listen here to a podcast from WHO radio, 1040 AM-Des Moines, of IowaWatch executive director-editor Lyle Muller talking with WHO fill-in host, Jeff Stein of the IowaWatch Connection, talking Sept. 5 about IowaWatch and the banquet. Events on Oct. 2 will kick off with an FOI Roundtable co-sponsored by Register Media and the Iowa Newspaper Association at The Des Moines Register Community Room, 400 Locust St., from 1 to 3 p.m. Following that, the Iowa Freedom of Information Council will hold its annual business meeting at the Des Moines Downtown Marriott from 3:30 to 4:30 p.m. Both events are free and open to the public. To register for the banquet, FOI Roundtable or both, go to this link. The banquet, at the Des Moines Downtown Marriott, 700 Grand Ave., is a fundraiser for the Iowa Center for Investigative Journalism, a 501(c)(3) nonprofit, nonpartisan organization. Tickets are $55 a plate. In addition to the Iowa Freedom of Information Council and Iowa Newspaper Foundation, banquet sponsors are the Associated Press, the Iowa Broadcasters Association and the Faegre Baker Daniels law firm of Des Moines. The Iowa Center for Public Affairs Journalism is an independent, nonprofit and nonpartisan news service that collaborates with Iowa media partners to produce investigative and explanatory journalism, and trains college students to do this kind of work at a professional and ethical level. It was founded in 2010.